No one likes a boring character. You know the type: always on time, never argues, questions authority, drives the speed limit, et al. Fiction is full of flawed characters. People like us. This week in LitChat we’ll discuss books with crazy, delinquent, perverted, rebellious and otherwise contrary characters and why we love them. 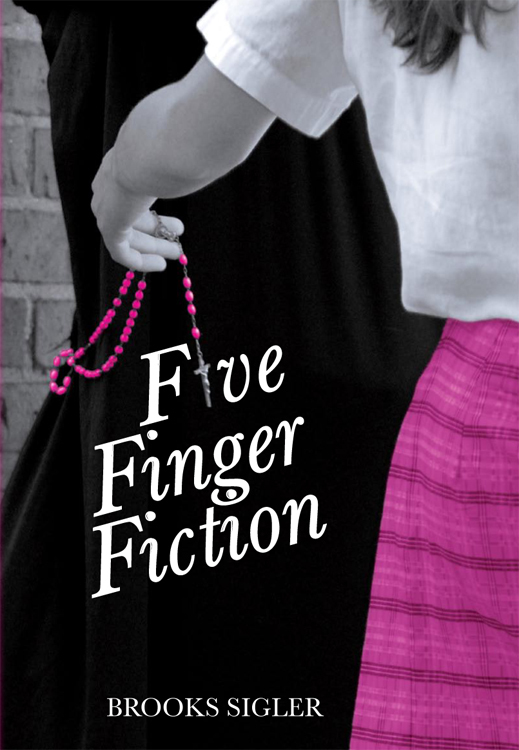 Joining us on Friday, October 16th, is author Brooks Sigler, whose debut novel, Five Finger Fiction, features a lovable Irish Catholic family that reeks of dysfunction. To compensate for her family’s freakiness–her father’s a peeping tom and her mother rules the roost like Peggy Bundy on steriods–protagonist Lila O’Farrell tries humor, subversion, a British accent, and eventually kleptomania to find her own way. Breaking the law and casting aside social mores is nothing to Lila compared to challenging her mother’s authority. 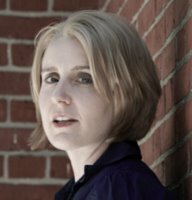 Brooks lives with her husband, fish, and cats in a quaint, New England town. She also has a turtle, who she thinks may be slightly off his shell. When not teaching English at her favorite charter school, the author likes to bombard her bosses, coworkers, family, and friends with a flurry of questions which no one can answer. Her other resolution, to produce progeny, has not come to fruition, yet.